WesTech’s process experts offer the experience necessary to help the end user define their needs and match project requirements with an optimum sedimentation equipment design. 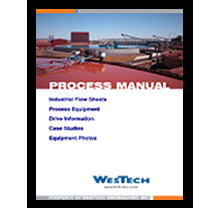 WesTech’s line of vacuum and pressure filtration equipment provides a wide range of dewatering options for many kinds of minerals processing flow sheets. WesTech’s experienced technical staff performs onsite, bench-scale testing to determine appropriate settling rates, unit areas and other key design parameters to optimize the effectiveness of your process.